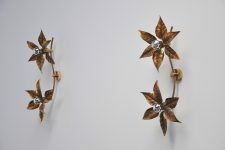 Nice pair of large wall lamps attributed to Willy Daro, Belgium 1970. 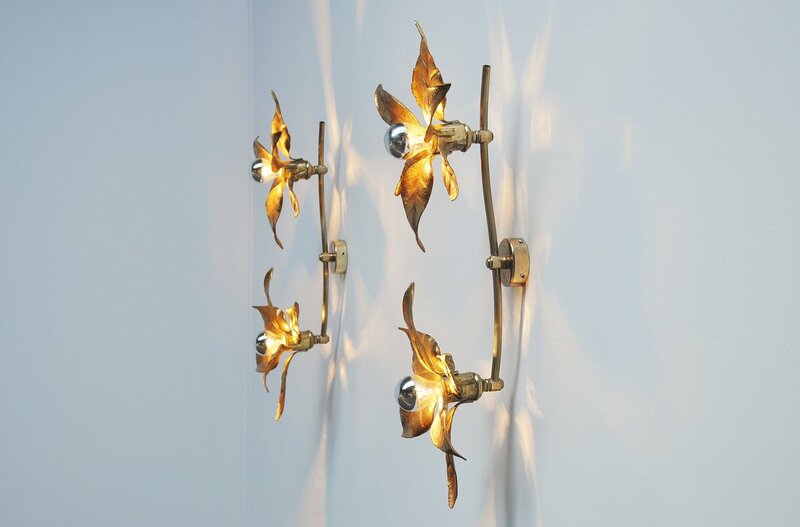 These lamps are made of brass and give very nice warm light when lit. 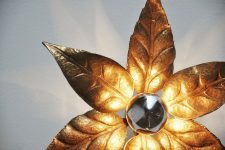 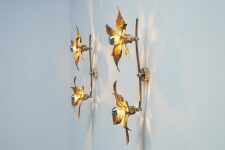 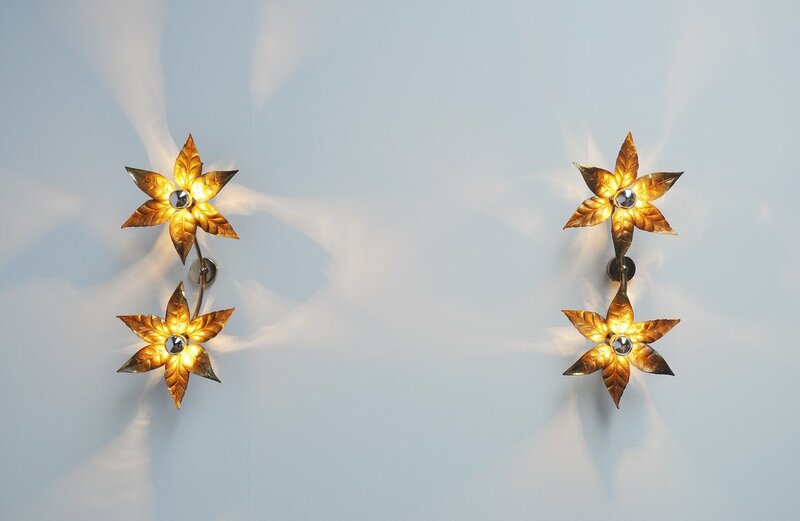 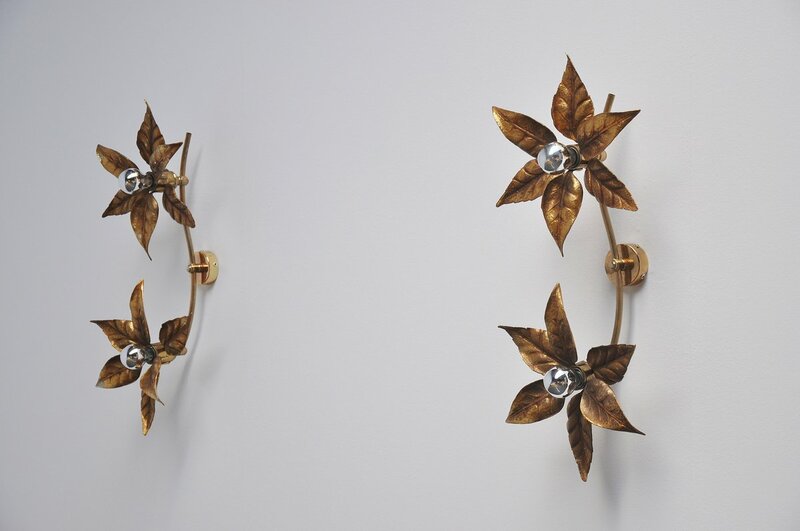 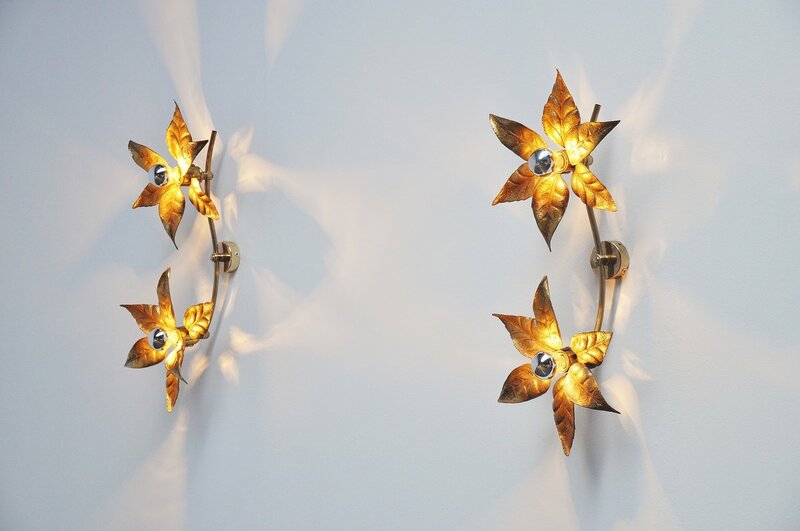 These lamps have a sculpted shape and look like a life size flower in brass. 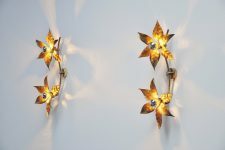 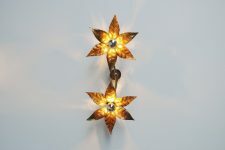 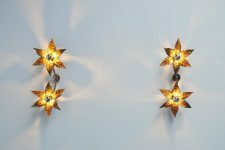 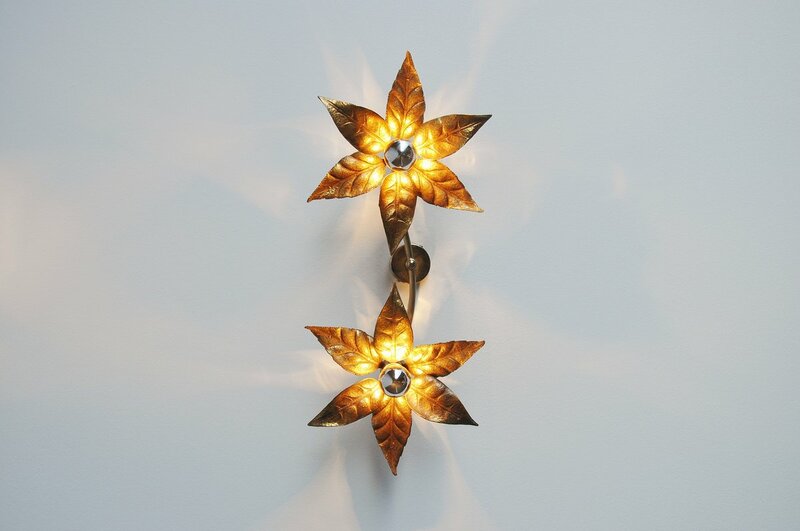 Easy to wall hang and they nicely use a two mirrored bulbs for nice light effect when lit.